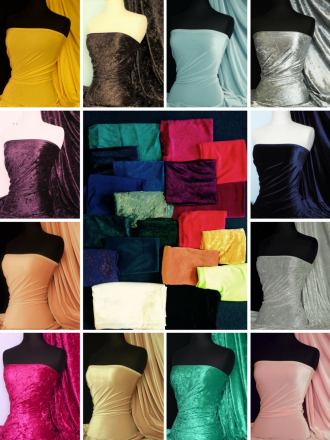 Our exclusive crushed and spandex velvet offcuts/remnants in a variety of vibrant colours are just the perfect package for all you velvet lovers! 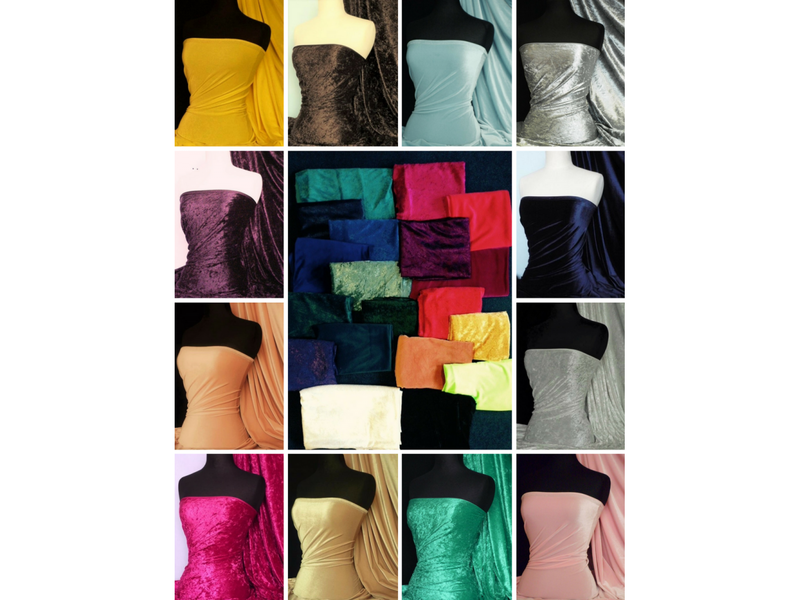 You will receive a random selection of different fabrics available in different sizes/colours (depending on level of stock available). Fabric use: Excellent material for garments, interior designs, cushion covers, beanbags, curtains, dance wear, arts & crafts and much more! **Please Note that the free delivery over £25 or flat £2.99 wouldn't apply for offcuts. Due to 5kg plus weight, the delivery would be automatically upgraded to courier 'Next Day Delivery' option at the checkout.